Do you have an eCommerce store? Do you know what makes a business successful? Happy Customers. And when I say happy customers, I mean the people who love to keep coming back to your store when they want to shop. “If you take care of your existing customers, they will take care of your new customers”. Are you the guy who always focus on attracting new customers? Don’t be that guy. It’s good for acquiring new customers but never neglect your existing customers. Advertising is becoming more costly day by day and it’s really tough for acquiring new customers in this crowded eCommerce industry. So you should focus on customer retention. A 5% increase in customer retention can increase your company’s profitability by 75%. So how can you increase customer retention? In this article, I’ll share 3 proven customer retention strategies that will boost your eCommerce store sales. According to Virtual Incentives, 75% of consumers say they favor companies that offer rewards. Your loyal and happy customers are your best promoters. Word of mouth is the most effective at driving new customers. Your loyal customers always buy from you and they tell their experience to their friends and family. How can you convert your happy customers into your promoters? That’s where customers loyalty programs come into the game. Reward your customers for their loyalty. Give them coupons, your new products at lower prices, a points system, or referral programs. They will appreciate it and feel more valuable. Customer retention is the main purpose of these programs. These programs can help you to convert new customers into repeat ones. How do you feel when someone wishes you ‘happy birthday’ and gives you a surprise gift? It makes you feel special. Right? When I say the word ‘birthday’, what comes to your mind first? Everyone loves (and expects) surprises and gifts on their special day. As an eCommerce owner, you share a special relationship with your customers. So it’s your job to make your customer feel special on his or her birthday. Send them a beautiful and personalized email which contains an incentive like a special gift, free shipping, coupon code or some other perks. Send this email at least one week ahead of their birthday to give them time to use the offer. They’ll really appreciate it. 80% of customers indicated they are more likely to do business with a company if it offers personalized experiences. 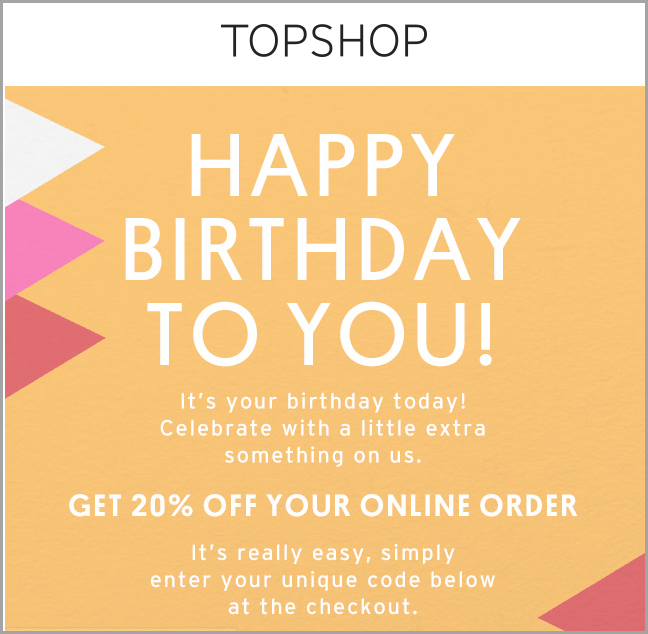 Check out this email from Topshop, they are wishing me a happy birthday with a 20% special discount. Great job. We live in the “Age of Customers.” Today’s customers are Digital customers. Thanks to mobile devices, Social Media, the Internet and Web, these channels provide instant information to customers. So you have to provide them with an omnichannel or integrated experience. Wondering what omnichannel is? Omnichannel is all about engaging with your customer across every digital channel and all devices. 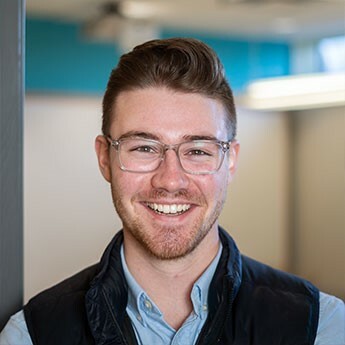 From the email to a social platform to the web, and across laptops, tablets, and smartphones, they are moving quickly across channels and expect you to be there too, providing an integrated experience. Google says that 90% of shopping consumers never stay on just one device when making a purchase. They skip around before buying. A customer is checking your email newsletter, the next second they jump to your social media page, then to your website, to your toll-free number, and then back to your email – all without losing momentum. You can’t afford NOT to be where your customers are. Build the right strategy to deliver an omnichannel experience across all the devices and channels. Serve them well and they will take care of your business. Visit Jeffbullas.com to see the full article and a couple more strategies!